You'll be £4.99 closer to your next £10.00 credit when you purchase Martello Towers Worldwide. What's this? 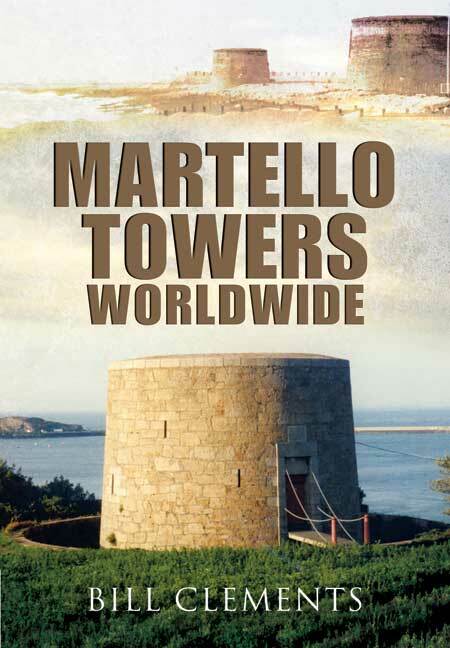 Martello Towers Worldwide follows the history of the Martello tower from the construction of the early towers built to protect the Mediterranean shores of Spain and Italy right up to the final towers built in the United Kingdom during the First World War. The book is illustrated with a large number of contemporary and historic photographs, drawings and plans, a very large number of which were not included in the earlier Towers of Strength. These provide the most detailed information yet published about the development of the Martello towers in Britain and overseas. So the book will be of particular interest to those interested in the history of fortifications, architectural conservation and military history generally. It will also be of interest to an international readership as the book now has a gazetteer of towers outside the United Kingdom that remain today together with a chapter describing a number of towers built in the United States. The book supplements the earlier Towers of Strength and such will be an important addition to the existing bibliography of books on Martello towers and fortification. Personally I think it's a book that you're looking forward to more, a larger format, with color photographs and larger-scale plans of any of the towers would be a brutal experience. A very interesting and enlightening book for fans of the fortifications that I include myself. The book's author Bill Clements, is so interested in these 19th century defence towers that he has toured similar existing Matrello Towers in Canada, Mauritius, Minorca, Sicily, South Africa and the Orkneys. As a result of his interest, he has produced a 240 page well-illustrated hardback book that must be the ultimate on the subject. William Clements served in the Royal Ulster Rifles and the Royal Irish Rangers, commanding the 1st Battalion. He was Defence and Military Attache at the British embassies in Beijing and Rangoon. He has long had a fascination for fortifications and is the author of Towers of Strength, Defending the North; the Fortifications of Ulster 1795-1945, Martello Towers Worldwide (in print with Pen and Sword) and Billy Pitt Had Them Built, Napoleonic Towers in Ireland. He has contributed articles to the journals of the Fortress Study group, the Military History Society of Ireland and the Society for Army Historical Research. In 2011 he was elected a Fellow of the Royal Historical Society.